The story of FM over the past couple of decades or so has been one of extraordinary change. i-FM has been around to track all the action, and an analysis of the companies in our Top 50 listings shows how the industry got where it is today. Over the past couple of decades, there’s been steady growth – in terms of overall industry value, service quality, sophistication, recognition, expectation. At the same time, bubbling under those rising trend lines, the marketplace itself has been remarkably dynamic, famous for the levels of M&A activity but also in parallel seeing many new players enter the fray while others departed. Second, how to ensure that content is accurate and up-to-date – the list is under continuous review; facts and figures are drawn from a variety of sources, though we always give preference to official published information wherever possible. 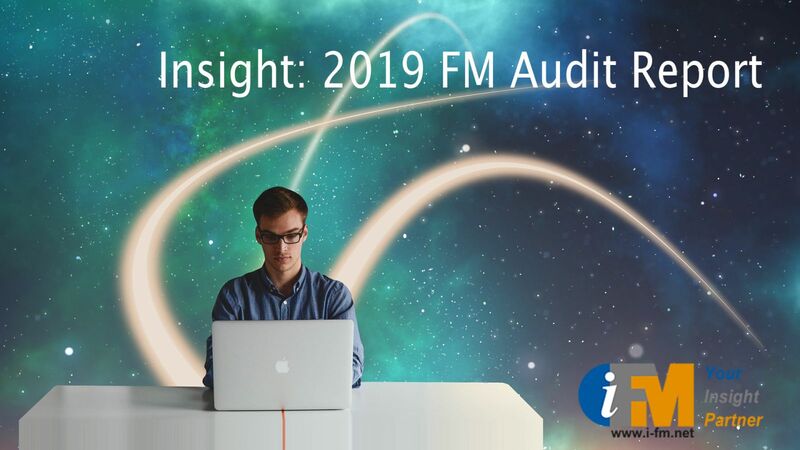 i-FM’s benchmark rankings are used by many within the industry and by many others engaged in market research, product development and similar analysis or investigation work. We are proud to be the source of this unique list, but we are certainly open to suggestions for improvement and development – feedback is always welcome. In this article, we look back in five-year intervals from 2016 – at 2011, 2006 and 2001 – to see how things have changed. Shown below is the Top 20 – as it was back then – from 2001. Younger readers will look at many of those names and wonder who they are, or were in most cases. No less than 14 of that original list no longer exist in the form in which they did in those days. Many, as we shall see, were key elements in the evolution of the companies in today’s benchmark list, while some others moved out of the industry altogether. By 2006 the Top 20 had grown to become the Top 50, following the brief existence of a Top 30 which was soon replaced with the Top 40, soon itself replaced. That rapid enlargement of the benchmark was a direct reflection of the growth of the industry generally. And within our next reference list, below, the same pattern of change and development continues to be evident – well over half of the companies included in 2006 are gone now, gone from the list or gone altogether. By 2011 the process of change had slowed but nevertheless remained a key feature of the market – about a third of the businesses listed then are not included today. Johnson Controls was a significant figure in our market for many years. The US-headquartered group became a serious player in UK FM with the 1994 acquisition of Procord, which had been formed three years earlier via an MBO of IBM UK’s property division. Procord was rebranded as Johnson Controls, and later evolved into that group’s Global Workplace Solutions business. Then, in the context of an ongoing restructuring process at the US-headquartered company, GWS was up for sale in 2014. It was acquired by CBRE the following year. That was not CBRE’s only acquisition in this market area in recent times. It had acquired Norland Managed Services in a deal that completed early in 2014. Norland itself had merged with its sister business Reliance Facilities Management in 2012. All this has made CBRE a significant force in FM in the UK and beyond. MacLellan was a busy £200m+ support services group when it was acquired by Interserve in 2006. Acquisitions are not always immediately rebranded and the MacLellan name continued in circulation for quite some time. As another illustration of the same point, MacLellan had acquired First Security in 2004, a business that still trades under that name despite being a part of Interserve for 10 years. Interserve’s other big acquisition was Initial Facilities in 2014 – the deal that led us to remove Rentokil Initial from the Top 50 as the group no longer met the criteria for inclusion. Building & Property was a key component in the formation of Interserve. B&P emerged following the privatisation in the early ‘90s of central government’s Property Services Agency. It was then acquired in 2000 by the construction and services group Tilbury Douglas, which in those days included a facilities services division called Interserve. The balance was clearly shifting in the boardroom, though, and in 2001 the entire group was rebranded as Interserve. Stiell – this one is a bit like the proverbial finger in the dyke. Stiell was a Glasgow-based FM business that muscled into the London marketplace in 2001 and subsequently did quite well across its expanded territory. It was acquired in 2002 by construction to services company Alfred McAlpine. McAlpine was then acquired by Carillion in 2008, building on Carillion’s earlier acquisitions of FM specialist Citex (2002), M&E business PME (2005) and construction and services group Mowlem (2006). Some of the team behind Stiell, incidentally, went on to back the transformation of Europa Support Services, ultimately moving it towards the current Bilfinger Europa Facility Management. Mowlem had boosted its FM services credentials with the 2001 buy of cleaning specialist Pall Mall. Carillion sold the Pall Mall business to Northern Ireland-based Resources Services in 2007. Resource did well for a number of years but then got into trouble and was ultimately sold by administrators to Dublin-headquartered Noonan in 2014. CBX was established in the ‘90s via an MBO of the Xerox UK property services department. Operating as a facilities management provider (that is, no direct services delivery, which was the more common model in those days), CBX was both a considerable success and a true pioneer in the industry. The business was acquired by Sulzer Infra, the services division of a Swiss engineering and manufacturing group, in 2000 at a time when FM was expected to take off across Europe (there was much talk of ‘pan-European solutions’). In truth, that talk was premature and Sulzer seemed not really to understand the business it had acquired. Soon Sulzer Infra was sold to a Belgian subsidiary of the Suez group and the CBX operation was rebranded as Axima FM. More change followed, with Axima ultimately being absorbed into Suez and then forming one component of the Cofely business which was created in 2009 (with Cofely and the wider GDF-Suez group rebranding to Engie in 2015). Trillium reflects two themes in the evolution of FM: overlapping interests with the property industry and a brief flurry of big, often property-based deals dating initially from a couple of decades ago. Trillium was set up in the second half of the ‘90s to manage a 20-year property and FM outsourcing contract with the Department for Work and Pensions. It was subsequently acquired by Land Securities and continued to be a specialist in those sorts of deals, as well as the wider PPP arena. In 2009 the business was sold off to another property advisor, Telereal, forming the current Telereal Trillium which continues to focus on property-based investment and management services. Like many old established construction and engineering groups, Amec had some trouble adjusting to the changing business environment they found themselves in during the ‘90s and into the 2000s. In Amec’s case, one strategy adopted was the sale of its Building & Facilities hard FM operations to Spie (somewhat ironic as Amec had owned Spie until selling it off the year before). Now Amec Foster Wheeler, the group focuses on big energy projects. Spie went on the acquire Hochtief Facility Management in 2013. Eurica was the facilities services division of the ISG Group. By about 2005, however, ISG was moving away from FM and towards an increasing focus on construction and fit-out activities. In that year Eurica was sold to the recently formed Erinaceous, an ambitious – some would say audacious – property services business aiming to be a one-stop-shop for all such requirements. Over the next couple of years Erinaceous was a regular feature in the headlines, with talk of trouble, bids, MBOs, more trouble, and finally a collapse into administration in 2008. WSP rebranded its facilities business as Knowledge Solutions in 2002 – and in a sense it just drifted away over the years as the consultancy pursued its wider focus on asset management and sustainability. Dalkia’s UK hard FM business was acquired by Mitie in 2009, giving that group a big boost in the sector. The following year Mitie added Dalkia’s Irish FM business to the fold. Select was the OCS facilities management business before the group began to shift its orientation towards more integrated operations. The above quick summaries are just the tip of the iceberg in this incredibly busy marketplace. We’ve followed the changes carefully through the years, and one of our contributors looked at some of the big issues for the industry in a thoughtful piece published in 2005 (one that remains remarkably relevant today). You can of course use i-FM’s search function to trace the issues and trends or the path of any company we have reported on since 1999. The impact of all this M&A activity is indicated in the following table which summarises turnover figures for the companies that have been listed consistently in our rankings since 2001 (though of course M&A is just one factor in each case: other big factors include the trajectory of organic growth for each company and the state of the wider economy). Finally, by way of illustrating how increasingly significant facilities management has become within UK plc, shown below are the ‘headline’ figures for the Top 50 over the past 10 years. Over the past five years the trend has flattened somewhat in the case of turnover growth, largely reflecting recession impacts. In the case of employment, the decline reflects both those impacts and the departure from the list of some high-number companies (for example, Rentokil Initial). Those effects notwithstanding, facilities management remains a very significant industry – and will no doubt continue its strong upward path over the coming five years. Check in with our current Top 50 listing here. Two years after the above article was written there is much to add. And much of that centres around financial problems which now seem to be fundamental to the FM industry as it has evolved in the UK – if, when and how they are resolved will certainly shape the future of the business. If someone had suggested even just a year ago (say, mid 2017 or earlier) that one of the industry’s biggest players, one of the companies most involved in the consolidation trends outlined above, could find itself seemingly overnight in liquidation, most industry observers would have rejected the idea out of hand. But in January this year Carillion was indeed handed over to liquidators. 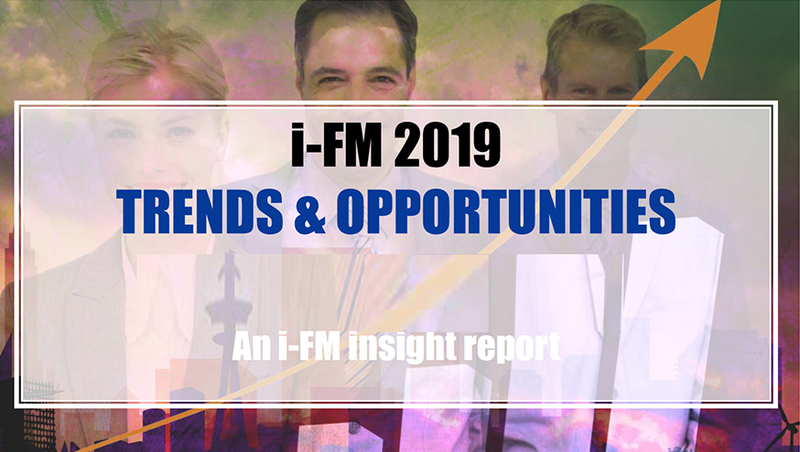 The reverberations have been felt in virtually every part of the industry, though what it actually means for the future of the FM business – and outsourcing more generally – remains to be seen. We believe that it must mean something: there are unquestionably lessons to be learned for both providers and clients. Carillion was by far the worst case of ‘coming unstuck’, but it was not the only company to suffer big financial problems in recent times – and in public, thanks to their listed status. Concerning signs were being seen at Mitie in 2016 and by early 2017 the scale of the problems were becoming apparent. Interserve was operating on a similar timeline. There are distinct differences between the companies – for example, like Carillion, problems on the construction side impacted Interserve – but there are also clear parallels including the need to reorganise and refocus across the business, driven in both cases by newly arrived CEOs. In a sense, two other service providers pioneered this disaster/transformation strategy/recovery path scenario – Serco and G4S. For the former it was a case, in part, of rapid growth in a number of different business areas leading to a big, sprawling organisation that was difficult to guide and manage – observations that were later made about some other outsourcers, too. The growing problems at Serco began to hit the headlines in 2014, with senior management citing the ‘difficult’ and ‘challenging’ conditions having an adverse impact on performance. The company went on to report huge losses and launched a strategy aimed at reorienting and streamlining the business. That’s an ongoing process at this point. G4S found itself in a broadly similar position over about the same period, with poor performance exacerbated by a couple of specific service failures, notably the security debacle at the 2012 London Olympics and ‘issues’ that later arose on a Ministry of Justice offender tagging contract (Serco was caught up in that one, too). There was also the rather strange subsequent experience of watching the FM side of the business being built up substantially, only to see most of the new senior team leave again when they apparently did not receive the expected backing for growth. But, like Serco, recent company reports suggest that a multi-year transformation strategy is working. Mitie, Interserve, Serco and G4S all appear to be on the right track again, but if the post-recession years have taught us anything it’s probably to temper optimism with caution. Then another one of our Top 50 companies, Servest, became Atalian Servest this year, 2018. Atalian is a big French facilities services provider that operates on the continent as well as in the US, Asia and Africa. In 2016 it struck a deal with the smaller but equally ambitious Servest to work together where international opportunities presented themselves. The relationship was obviously a good one, as less than two years later we were reporting news of Servest’s acquisition by the French group. Servest has also been, in another way, a good example of another continuing trend in the FM sector – namely, growth through acquisition, often to extend service capabilities and/or gain a presence in new markets or territories. Even as it was itself being acquired, Servest was adding to quite a long list of purchased companies, the latest being a catering contractor and a hard services specialist. Other deals have been done in recent times by the Top 50 mid-market players Incentive (M&E service providers and window cleaning companies, for example), Churchill (catering, security), NG Bailey (engineering), ABM (catering, cleaning) and Vertas (cleaning, security, waste management). All of the events cited here have been covered extensively on i-FM. You can find out more by searching on the company name.